July 15, 2011 - Secretary of the Navy Ray Mabus announced today that the next freedom-class littoral combat ship (LCS) will be named the USS Little Rock (LCS 9). 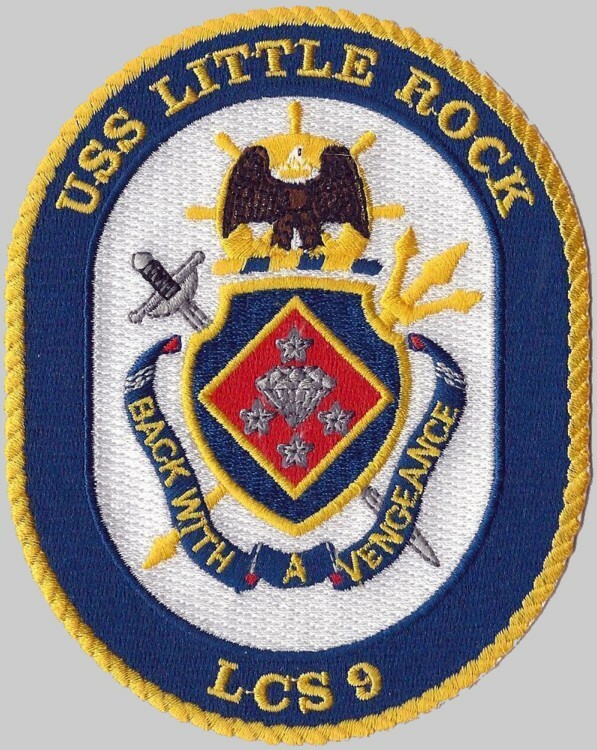 Little Rock is the second ship to bear the name of the capital city in Arkansas. The USS Little Rock (CL-92/CLG-4/CG-4) was originally a Cleveland-class light cruiser that served after World War II, and was one of six to be converted to a Galveston-class guided missile cruiser. She was decommissioned in 1976 and now holds a place of honor as a museum ship in Buffalo, N.Y.